There’s no doubt many reasons you are moving from London to Durham. Apart from anything else, it’s a beautiful town full of character, history and charm. With the same care you chose Durham to move to, you should take care in choosing your removal company to get there. Look at all the options and choose which removals company seems best for you. We believe Moving Service is best for you when moving to Durham because we have been helping people relocate to Durham from London for many years. Our removal firm is also best because our removal service is individually made-to-order around your personal wishes. This means not only do you get a truly personalised service but because it’s maximised solely around your individual circumstances, it’s a lot cheaper than elsewhere. To find out how much cheaper call 020 8746 4402 now. It’s one phone call which really is worth making. In addition to our incredible prices, all our removal staff are trained to the highest standard so that you in turn will receive the highest standard of service. Take our professional packing service for instance. Our expert staff will ease your workload ten-fold by helping you pack away your items in the best way possible. No more will you be spending hours wondering how to pack this and that, hoping instead of knowing an item won’t be broken during the journey north. One other way our removals carrier can help you on your way from London to Durham is by having the best and most secure storage space available for you. You can relax in the knowledge that your valued possessions are locked away securely whether it’s long-term or short-term you need them stored. These are just two ways we can help you move house or move office to Durham. 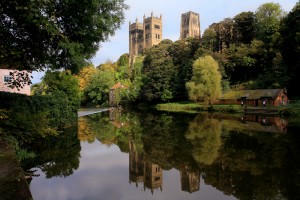 Situated on the River Wear, Durham is a city best known perhaps for its historic castle and cathedral. 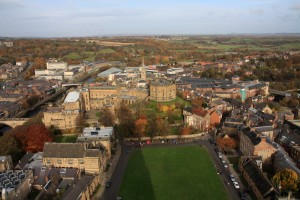 It’s also home to Durham University which is one of the oldest universities in England. Durham has a population of approximately 87,000. Durham Cathedral is regarded by many to be one of the finest Norman buildings in Europe. The 11th century Durham Castle is likewise a great example of Norman building. Both the cathedral and castle were designated World Heritage Sites in 1986. In addition to its beautiful scenery, Durham has many great shopping facilities such as The Gates Shopping Centre in Framwelgate Bridge. Our removals business really does go that extra mile for you. Before you move from London you’ll have so much to do and organise. What you don’t want to be doing is spending time searching for packing accessories whilst all the time the countdown to your removal day seems to be getting faster and faster. That’s why our moving firm has all the packing accessories and packaging materials you could ever need. Not only that, when you hire our removals company we can help you with all sorts of advice and assist you with any query you have so will never feel you are stuck and have nowhere to go when you come up against a problem you just can’t solve. With our vast experience of house removals we’re sure to know a solution for you and we really do love to help. It’s one of the many reasons why we’re such a respected furniture carrier with the area. So before you do anything else, make the right choice and give Moving Service a call on 020 8746 4402 to receive your free quote. With our inexpensive prices and professional, trustworthy removal service, there really is no need to go anywhere else.